Manual manipulation of the spine and other joints in the body have been around for a long time. Ancient writings from China and Greece dating between 2700B.C. and 1500B.C. mention spinal manipulation and the maneuvering of the lower extremities to ease low back pain. Evidence of manipulation has also been found in the ancient civilizations of Egypt, Babylon, Syria, Japan, the Incas, Mayans and Native Americans. The official beginning of the chiropractic profession dates back to 1895 when Daniel David Palmer restored the hearing of Harvey Lillard by manually adjusting his neck and something told him that he was on to something good. Chiropractic is the science, art, and philosophy that concerns itself with the relationship between the nervous system and the function (health) of the body. Chiropractic is based on the scientific fact that your nervous system controls the function of virtually every cell, tissue, organ, and system of your body. Your nervous system consists of your brain, spinal cord, and all the nerves of your body.While the brain is protected by the skull, the spinal cord is more vunerable, covered by 24 moving vertebrae. When these bones lose there normal motion or position, they can irritate the nervous system. This disrupts the function of the tissues or organs the nerves control, and is called the Vertebral Subluxation Complex or Subluxation Syndrome. Today's Doctor of Chiropractic takes four years of post-graduate college education to master the "art" of chiropractic. In addition to the science and art, Chiropractic philosophy recognizes that only the power that created the body can heal the body-if there isn't any interference.Instead of covering up your symptoms with drugs, chiropractic looks to correct the underlying causes. The words "chiropractic adjustment " describe ways using a carefully directed and controlled pressure to restore spinal bones to a more normal position or motion. When spinal function is improved, nervous system function (health) can improve too. Chiropractic has helped millions of people worldwide suffering from all types of problems and not just back and neck ailments. Research studies that have clearly demonstrated the value of chiropractic care in reducing health care costs, improving recovery rates and increasing patient satisfaction. In fact, one very large study conducted in Canada, the 1993 Manga Study, concluded that chiropractic care would save hundreds of millions of dollars annually in work disability payments and direct health care costs. Several major studies conducted by the U.S. Government, the Rand Corporation and others, have all demonstrated the incredible value of chiropractic. If your condition is out of the chiropractic scope or would be more appropriately managed by another health care specialist, we will gladly make the necessary referral. Magna Report from Canada - Chiropractic manipulation is safer than medical management of low back pain. Chiropractic management is greatly superior to medical management in terms of scientific validity, safety, cost-effectiveness and patient satisfaction. Agency on Health Care Policy and Research Study, United States - Conservative treatment such as spinal manipulation should be pursued in most cases before considering surgical intervention. Prescription drugs such as oral steroids, antidepressant medication and colchicine are not recommended for acute low back problems. New Zealand Commission Report - Chiropractors are the only health practitioners who are necessarily equipped by their education and training to carry out spinal manual therapy(spinal adjustments). Because our kind of treatment is proven effective, it is covered by most insurance plans including workers compensation, auto accident insurance, and most major medical policies.Since there are so many plans and coverage varies widely, please call us to find out if your plan covers care in our office.Our staff will verify and explain your benefits. Medicare also approves chiropractic and helps pay for the treatments. We will gladly submit Medicare claims for you. At this time, we do not accept Medicare assignment. For patients that have little or no chiropractic insurance coverage,flexible payment programs can be arranged. Many of our patients pay directly for care, as they discover chiropractic to be extremely cost-effective and affordable. Do you take walk-in patients? Yes, you can call us anytime and set up an appointment, or, if you prefer, for your convenience we gladly accept walk-in visits, and will see you as soon as we have an opening. How long before I'll feel better? Obviously the length of treatment varies from patient to patient. You should feel an improvement within a few visits, although complete correction of the underlining problem may take longer. 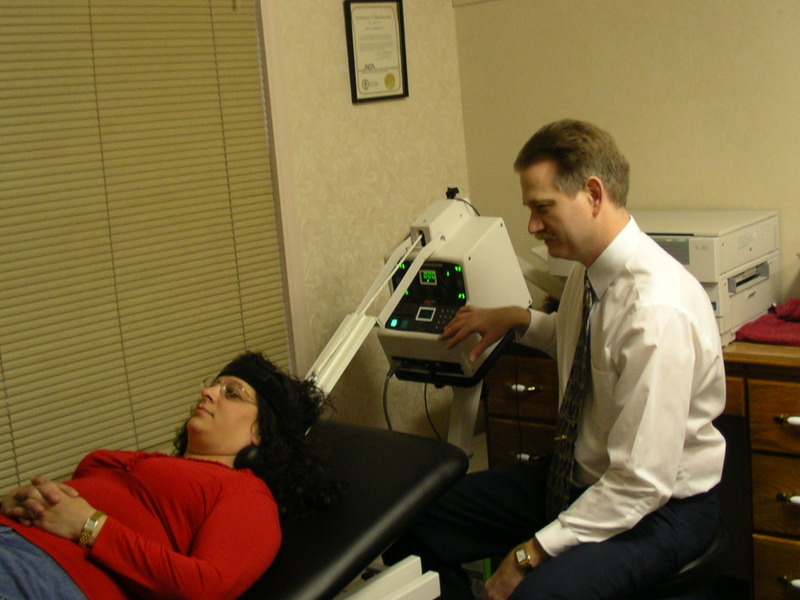 Our goal with every patient is to achieve a full recovery as quickly as possible.